The China-led 'One Belt, One Road' initiative has become an important part of Sino-Russian relations. The two nations seek to integrate the New Silk Road with the Eurasian Economic Union project to overcome the economic difficulties they have faced. 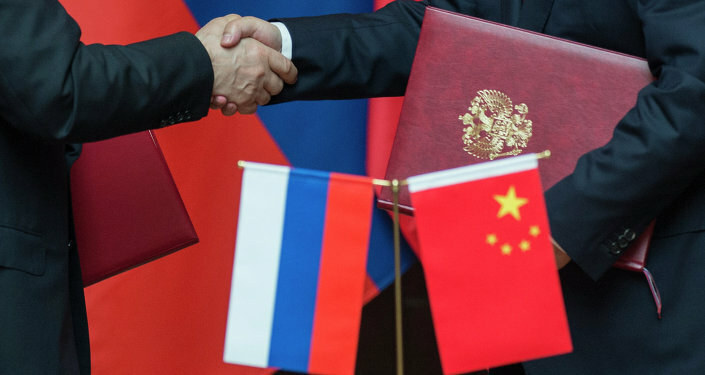 China and Russia continue the course toward mutual rapprochement: the two countries seek to integrate the Beijing-led 'One Belt, One Road' ('New Silk Road') initiative with the Eurasian Economic Union (EEU) and with good reason. 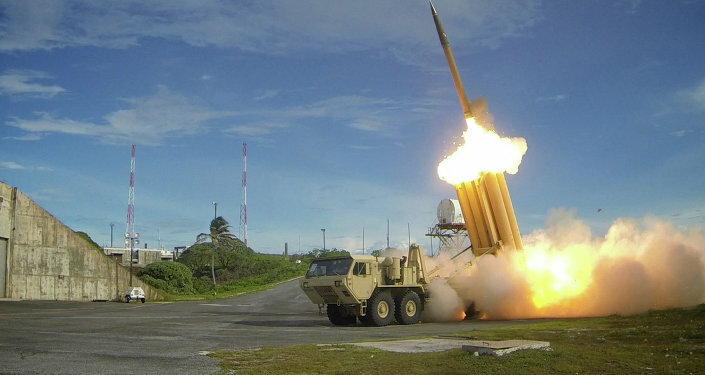 In his recent article for The Diplomat, Johannes Feige, an independent US researcher on Asian military and international affairs, points out that both Beijing and Moscow are currently facing certain economic constraints. While Russia is struggling with the ruble's volatility, China sees capital outflows and a temporary economic downturn. To add insult to injury, the recent Hague ruling on the South China Sea has stirred the region and threatens to affect Beijing's long term security and interests, Fiege notes. To tackle these problems the two powers have accelerated efforts needed to create a unified Eurasian trade space. "Beijing has several aces up its sleeve, chief among them being Xi Jinping's 'One Belt, One Road' (OBOR) initiative," the researcher stresses. "OBOR could not only be a boon that eases China's economic woes, but also relieves regional political tensions and lubricates some of its relationships, including with Russia," Feige writes. The researcher explains that one of OBOR's goals is to boost economic development in China's poor mainland regions, thereby creating the conditions for the further growth of the country's economy. Citing Xi Jinping's recent statement made in Uzbekistan, Feige remarks that "Chinese trade with countries participating in OBOR exceeded $1 trillion last year, while Chinese firms invested nearly $15 billion in OBOR countries throughout the same time period." Although the figures do not look overly impressive, it is only the beginning Feige admits. "With that broader geopolitical perspective in mind, OBOR's role in boosting Sino-Russian relations should not be neglected," he underscores. Remarkably, a 2015 Valdai Discussion Club Analytical report envisioned further integration of the China-led New Silk Road project and the EEU. "From an economic point of view, there is no contradiction between these two formats — on the contrary, they complement each other," the report stated. "In 2015 we can speak on the birth of the 'Central Eurasian Moment', which is the unique confluence of international political and economic circumstances that allows for the renewed potential for cooperation and common development within the states of this region. The main driving forces behind the transformation of Central Eurasia into a zone of joint development will be Eurasian economic integration, led by Kazakhstan and Russia, as well as by Belarus and the Silk Road Economic Belt project," the report stressed. Still, William T. Wilson, a Senior Research Fellow in the Heritage Foundation's Asian Studies Center, noted in his July article for The National Interest that China has become an influential power in Central Asia, outpacing Russia. He pointed out that Chinese companies have invested a lot into the region's infrastructural projects. "In 2013, trade between China and the five Central Asian states (Kazakhstan, Kyrgyzstan, Tajikistan, Turkmenistan and Uzbekistan) totaled $50 billion," Wilson remarked, insisting that "Moscow… is far from pleased about losing preeminence in Central Asia." However, speculation that Beijing and Moscow could be dragged into a "fierce competition" for the Central Asia region is completely groundless. 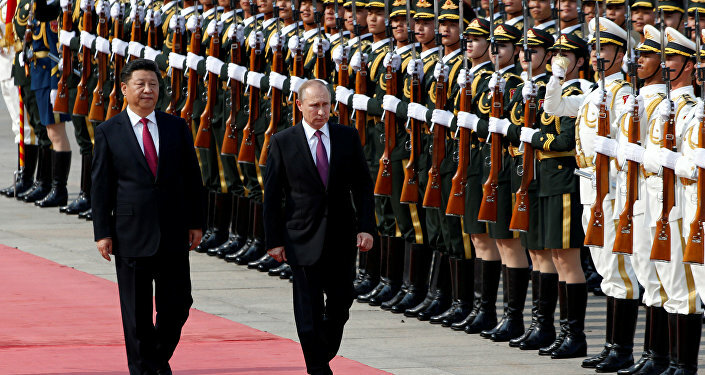 It would be hard for Beijing to improve its positions in Central Asia without Russia's assistance, Feige emphasizes. "Russia — which has traditionally wielded influence over the smaller Central Asian states that form key pillars of OBOR — is important for China in the region, because its cooperation with China could be crucial for the Silk Road project to succeed," he highlights. The Silk Way 2016 rally from Moscow to Beijing, sponsored by Russia's Gazprom and China's BAIC has become yet another sign of strengthening relations between the two nations. "Though OBOR is a project that is still in the works, it seems to be an important part of how both countries are trying to boost ties," Feige believes. Furthermore, the upcoming Group of 20 (G20) summit is viewed by Moscow and Beijing as a chance to coordinate and promote economic cooperation between the countries. "I want to particularly emphasize that the G20 summit has always been a platform for enhancing international cooperation between China and Russia, joint actions on construction of a just, rational international political and economic order," Chinese Ambassador to Russia Li Hui stated Tuesday.